A North Dakota lawmaker urged colleagues on Monday to slap tighter penalties on people involved in riots against pipelines. State Rep. Todd Porter, a Mandan Republican who is the measure's sponsor, told the House Judiciary Committee on Monday that the proposal "makes sure perpetrators and instigators of this type of activity are charged accordingly." He said his proposal comes in direct response to the four-state, $3.8 billion pipeline that drew thousands of protesters this summer to an encampment near the Standing Rock Sioux reservation. Porter said some of those involved in the pipeline protests who are charged only with misdemeanor penalties immediately have "bonded out" and have returned to engage in more clashes with law enforcement. Elevating the charges to felonies would likely stop that, he said. 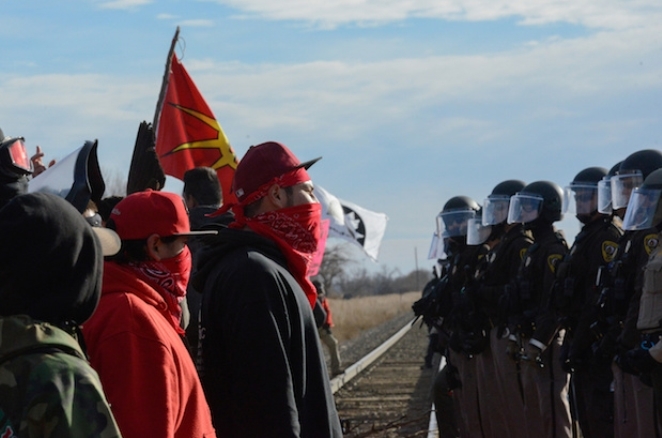 There have been more than 625 arrests in North Dakota since mid-August. "At some point they have to be taken out of the game, and this bill does that," Porter said. Dallas Goldtooth, a protest organizer and member of the Indigenous Environmental Network, called the legislation "very reactionary and knee-jerk." 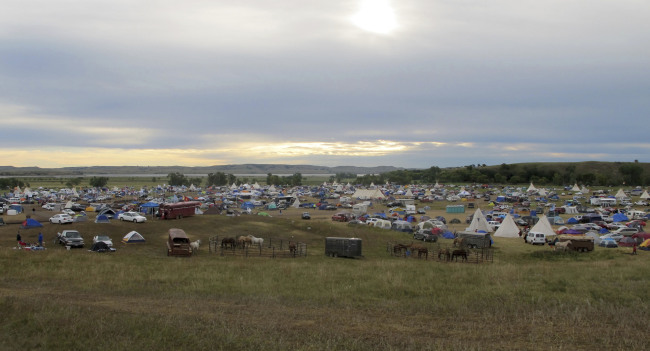 "It could impact all forms of public speech and First Amendment rights and I encourage the citizens of North Dakota to speak out against these proposals," said Goldtooth, whose group had been one of the main camp organizers before heeding the tribe's call to leave last month. That group and other organizers have since called on Dakota Access opponents to spread out around the country rather than concentrate in southern North Dakota. Assistant Attorney General Jon Byers spoke in support of the legislation, as did an official with the group representing the North Dakota Peace Officers Association. Byers said state law already differentiates between a lawful protest and a riot, which is defined as having "tumultuous and violent conduct." No one spoke in opposition to riot-related bill on Monday and the committee took no action. Responses to "Bill Heightens Penalties For Rioting Against Oil Pipeline"